This past weekend I attended a pole dancing instructor certification training course with Discoveries Dance. The course was a two day training taught by course creator and multiple fitness certified educator, Angel. Angel has an extensive back ground in fitness and education. Her material presented in the course was information she'd worked on to develop over several years. The entire course was developed based on injury prevention in pole dancing. Injury prevention in pole dancing is a highly important issue. Pole dancing is a fun and wonderful activity, however like every sport there is a potential for injury. I wanted to take a certification course for quite some time. I'd done a lot of research as certification programs have been developing in the United States. The main reason Discoveries Dance appealed to me was the emphasis of injury prevention within the course curriculum. The program was also reasonably priced compared to competing programs. The training course curriculum is also vastly focused on teaching, eliminating unnecessary information such as how to open and manage a studio, which was not a priority or focus for many of us participating this weekend. After each day of the two day course, I wrote a brief summary of my experience. Today was day one of two for the Discoveries Dance pole instructor certification course hosted by Pole Up, LLC. I had a great time learning everything that was taught. Upon arrival students were given a folder and workbook manual for studying. Prior to the course, we were emailed a reading assignment to prepare us for the first day's lesson. I found the reading material to be very interesting and to get my mind geared towards the topics we would be learning about in the course throughout the first day. The first day was a majority of anatomy and physiology and it's relationship to pole dancing. I found all this information to be extremely well taught, organized, and highly beneficial to my teaching strategy. The underlying motivation of the program design is injury prevention which was clearly reflected in the material we learned on the first day. I found all the information we were taught regarding anatomy and physiology will be very useful to me in my future teachings in ensuring safety in my classes. The training also focused on teaching aspects and how as an instructor you can incorporate useful methods to communicate with your students thoroughly as well as finding comfort in becoming a teacher. Overall, I am very satisfied with the way the course is going. I find the course to be physically and mentally engaging. I can't wait to learn everything in tomorrow's portion of the training! Today started off bright and early. We began the training finishing up some anatomy and physiology from the previous day. The entire course was very thorough in the anatomy and injury prevention aspect of pole dancing. This was exactly the type of information I'd been longing for in a pole dancing specific training program. Day two's training also involved lessons on how to distinguish classic characteristics of improper body alignment in order to prevent injury in various dance maneuvers or on the pole moves. I felt that being informed in this area is extremely important in injury prevention. I'd never came across information in my previous research that had this information so clearly broken down and specific to pole dancing. In addition to the information on injury prevention, day two focused a lot on developing our teaching skills. This aspect of the program was great as it helped to get us thinking about situations and how to properly teach moves effectively. We participated in multiple activities throughout the day focusing on proper body alignment and incorporating various processes we'd learned to organize our dance instructions for developing our ability to articulate lessons in a safe and clear manner. As the course came to a closing, we reviewed all the requirements for completion of our certification. Post training, participants have a year to complete the requirements. From personal experience, I recommend not waiting long after completing the training to do this. It's best to complete everything within the two weeks post training as all the information is fresh in your mind and you're less likely to keep putting it off for a later date. Once it's done, then you're certified through the program! I can't say enough how much I really enjoyed this program. Throughout the entire training, one of the greatest advantages I felt was the fact that so many levels of expertise were participating in the training. The insight from the other participants was beneficial as everyone had experiences that enriched the learning process. I truly believe that it is extremely important that pole instructors have a formal training in order to properly teach others in a safe and effective manner. There is so much an instructor needs to know in order to teach safely that I don't think many realize. The fact is, pole dancing is a dangerous sport, and if a person teaching isn't well informed then it is an even more dangerous activity. I really hope that the future of pole dancing continues to lean towards trainings and continuing education courses for instructors. I believe the future of pole dancing needs to have a mandatory training nationwide for all studios. Safety is and should always be the number one priority. As wonderful and fun pole dancing is, as an instructor, I need to always keep in the back of my mind that safety is number one. Teaching is a responsibility and as a teacher, I've taken the responsibility to educate myself for my students. For more feedback on Discoveries Dance please visit the feedback section of the training. Discoveries Dance also offers a home study course for those interested. 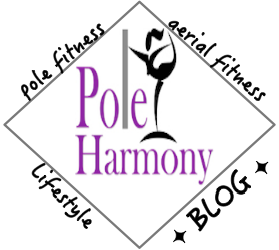 To get started on your own pole fitness education training, please visit www.DiscoveriesDance.com. Yes, I highly recommend Discoveries Dance pole fitness instructor training. This program was everything I was looking for and going on 2 years now since I took the certification- I still feel it was worth it! I still use a lot of the skills I learned in this training. I spoke with the creator of this program a few months ago and she also had mentioned there was some new information she was putting into the course. This course is completely legit- and is backed by qualified professionals in the medical and fitness professions. Good luck!